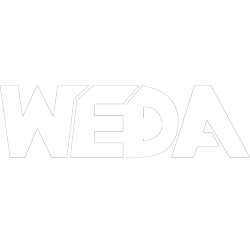 Thanks for showing interest in WEDA’s partners program for the upcoming Dredging Summit & Expo in Chicago, IL. We have planned a few outings that hopefully will give you a good introduction to the beautiful city of Chicago and its surroundings. Join us inside the International Ballroom on the 2nd floor of the Hilton for WEDA’s signature Ice Breaker Welcome Reception. This is the perfect place and time to meet and greet the other conference attendees. Plenty of hors d’oeuvres and refreshments will be served along with stationary food displays and carving stations. The Welcome Reception is included with all conference & exhibitor registrations. The reception will be on the 2nd floor of the Hilton in the International Ballroom, followed by a plated dinner, Dredger of the Year and Lifetime Achievement Awards. The GALA Reception & Dinner are included with all full conference and exhibitor registrations. Click HERE to register for the full partners program or any of the events, functions or tours separately.